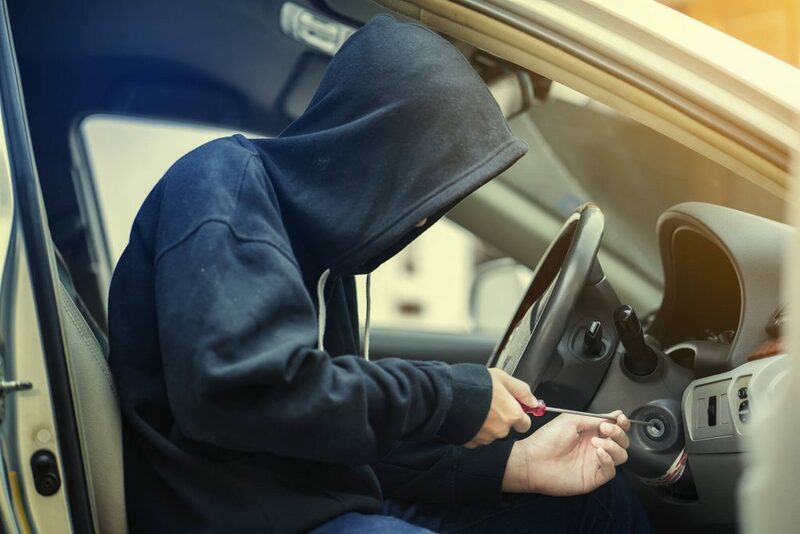 Driving older car models can increase the chances of your vehicle being stolen, but just driving certain vehicles can also make you susceptible to car theft. According to data collected from AA Insurance between January 2016 to December 2017, these are the car models most frequently stolen in New Zealand. The Honda Torneo continues to top New Zealand’s list of most stolen cars since it made its first debut on the list in 2010. It has been reported that in comparison to the other vehicles on the list, the Torneo is almost twice as likely to be a target for car thieves. Honda first introduced the Torneo in 1997 and brought production of this model to a halt in 2001. The Torneo continues to top the list because of its lack in security set up, making it an easy steal for thieves. Manufactured by Mazda between the years 1963 and 2003, the Mazda Familia is another popular vehicle for car thieves in New Zealand. When you drive around New Zealand, it won’t be too difficult to spot a Mazda Familia, as they are one of the most popular vehicles for drivers with small families. In a similar fashion to the Honda Torneo, the Familia are an easy target for car thieves because these models generally lack security and alarm monitoring systems. From 2004, the Mazda Familia was replaced with the Mazda3/Axela. Gaining popularity in being known as ‘the most stolen vehicle in Canterbury’ and across other areas in New Zealand, the Mazda Demio is a car that owners must keep a close eye on. Not recognised as being a car of speed, the Demio has been nicknamed as the ultimate ‘nana car’. If you drive a Mazda Demio, it is in your best interest to fit your vehicle with extra security measures, such as a steering wheel lock. Replacing the Subaru Leone, the Subaru Impreza made its manufacturing debut in 1992, and continues to be in production to this day. The Impreza design has evolved and Subaru has offered the Impreza with a four-door sedan or five-door body variant since its 1992 conception. There has also been a coupe option which was available – new – between 1995 and 2001. Multiple versions of the Impreza have been utilised by the police forces in Japan, Singapore, UK, France, Latvia and Australia. The Nissan Sunny is a midsize sedan that was built between the years 1966 and 2006, and was designed to compete with the Toyota Corolla. If you ever find yourself looking to rent a car across car rental service locations in New Zealand, you will come to find that the Nissan Sunny is one of the more popular options to rent. If you own an older version of the Nissan Sunny, it’s important that you ensure that you have adequate security measures installed to lessen any chances of theft. The word cefiro is Spanish for breeze. Between the years of 1988 and 2003, Nissan produced the mid-sized Cefiro luxury car. While newer versions of the Cefiro are harder to break into, older versions continue to be a hot target for car thieves around the country. Breaking into the older models of these cars is a cefiro. Also popularly known as the Mazda6, the Mazda6/Atenza was designed in 2002 to replace the Mazda Capella. The Atenza has sold over one million units worldwide since it was first introduced and is one of the most popular Mazda’s ever designed. The Subaru Forester has won many awards, including ‘SUV of the Year’ and ‘Best Car to Buy’. Manufactured since 1997, the Forester is a compact station-wagon that is classified as a ‘compact crossover SUV’. Like the Subaru Impreza, the Forester is a common target for car thieves, as their engineering options are attractive, and are very common to find across New Zealand roads. Alongside the Subaru Forester, the Nissan Terrano is another popular SUV that is frequently stolen by car thieves. In being a popular vehicle on New Zealand roads, this increases the Terrano’s chances of being a direct target for theft. Like the other vehicles that make this list, the Capella is vulnerable to theft due to its antiquity and thus, lack in reliable security monitoring and an alarm system. The Capella is a mid-size car and was manufactured between the years 1970 and 2002. Direct competitors to the model include the Toyota Corona, Nissan Bluebird and the Honda Accord. Have your car windows been damaged in an attempted theft? You’re going to have to get them repaired or replaced before you consider upgrading the vehicle’s security system, and at Instant Windscreens we can get it done for you in no time at all. Give us a call today for a quote, or to schedule a repair or replacement of any of your car’s windows.